Many congratulations, it is your 62nd wedding anniversary, your children have grown and you are probably proud loving grandparents. Couples that married 62 years ago had experienced completely different ideas of dating that couples today might consider sexist, for example waiting for the lady to be seated before you take your seat or the man ordering the food at the restaurant and never ever leave a lipstick mark on the glass! Times have no doubt changed for a couple celebrating 62 years of marriage, but one thing is the same that this occasion deserves celebration. There are no special flowers, gemstones or meaning associated with the 62nd wedding anniversary, but that doesn’t mean that these wonderful gifts have to be avoided. 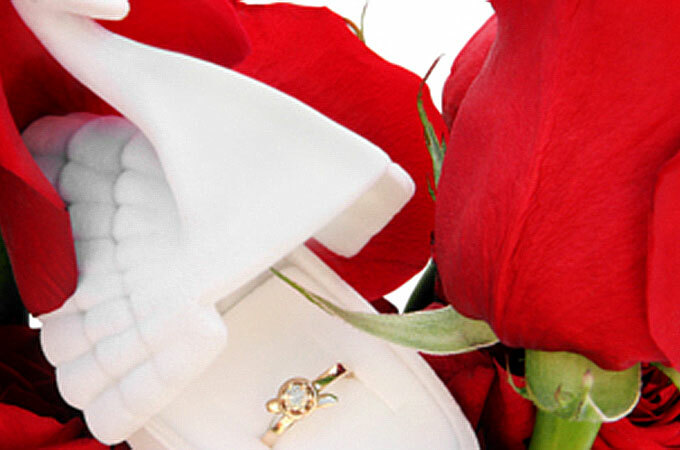 Why not splash out on a wonderful bouquet of 62 mixed flowers, representing one for every year of marriage? Having recently celebrated the 60th anniversary it could be that you already purchased a beautiful diamond then why not buy a bracelet or pendant to match for that extra special gift. A special way of marking this special occasion might be two tickets to the theatre, or a concert for the couple’s favourite performer. A novel idea would be a framed coin collection from the year the couple first said “I do”. Alternatively a framed collage of treasured photographs would make a wonderful gift reminding the couple just how truly cherished they are. A romantic meal for two at a good restaurant is always a special gift, but joined by the whole family would make it a memorable event for all concerned. Whatever you decide for the 62nd wedding anniversary, Shakespeare said “The sight of lovers feedeth those in love”, celebrate with the happy couple and never stop falling in love. Enjoy this very special occasion.